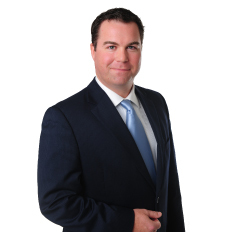 Ian Lambert is a litigation partner with HSM Chambers in the Cayman Islands. He has more than 15 years of experience in major, complex litigation cases, with significant concentration in the areas of insolvency / bankruptcy litigation, asset recovery, fraud litigation, trust litigation, commercial litigation and contract disputes. In 2002 Mr. Lambert graduated with his LL.B from the University of Windsor Law School (Ontario, Canada) and was called to the Bar of Ontario in 2003. From 2003 to 2009 he practised as a litigator at two prestigious law firms in London, Ontario and Toronto, Ontario. In 2009 Mr. Lambert was called to the Cayman Islands Bar. He represents both plaintiffs and defendants in major, complex litigation cases. Mr. Lambert also has extensive experience representing liquidators and other professionals in liquidation / bankruptcy cases and provides them with comprehensive legal advice on the Cayman Islands winding-up process and related litigation matters. Since 2009 Mr. Lambert has provided litigation and insolvency advice to the Joint Official Liquidators of eight Saad Group Cayman Islands companies in the companies’ winding-up process and in defending a US$9.2 billion corporate fraud claim Ahmad Hamad Algosaibi and Brothers Company (AHAB) is pursuing against those companies. Mr. Lambert is admitted to the Ontario and Cayman Islands Bars. The contents of this site are for general information purposes for the clients and professional contacts of HSM Chambers and HSM IP Ltd. Any other use of the guides, publications or other content found on this website is expressly prohibited without the prior written consent of the HSM Group. The contents do not purport to be comprehensive or to constitute legal or professional advice and should not be relied upon in any manner. For specific matters appropriate legal or other professional advice should be obtained. Any and all liability which may arise from the use of this website or from reliance on the materials or the contents of this site is expressly excluded and the HSM Group accepts no responsibility for any loss whatsoever. This website is subject to the laws of the Cayman Islands. HSM IP Ltd. is an incorporated legal practice in accordance with the Legal Practioners (Incorporated Practice) Regulations 2006.